For commercial roofing contractors with the expertise to handle your roofing project in Montgomery or any other surrounding community in Alabama, turn to the professionals at Arango Insulation. As a commercial roofing company that specializes in performing installations on multi-unit structures, we have the knowledge and skills you need when building apartments, assisted-living facilities, condominiums, townhomes, or any other large-scale dwellings. Additionally, because we understand the value of a job done well and on time, you can trust that we will work tirelessly to ensure you are completely satisfied with every aspect of our work, from start to finish. 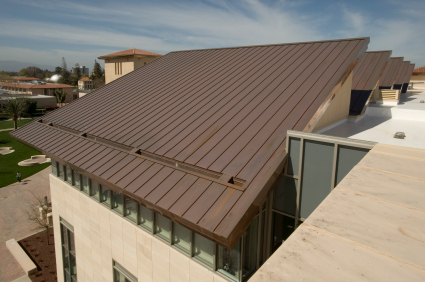 Whether your blueprints call for a low slope/flat roof or a steep slope roof, we have the systems and materials necessary to handle all your commercial roofing needs. Plus, with products from industry-leading manufacturers like CertainTeed, GAF, GenFlex, Owens Corning, Tamko, and Versico, you can rest assured that regardless of which roofing system you choose, each is constructed of durable, energy-efficient materials that have the strength to last for years to come. To learn more about our numerous roofing systems and the benefits of hiring our experienced commercial roofing contractors for your Montgomery, AL, area construction project, contact Arango Insulation today.